← Come fly with us! 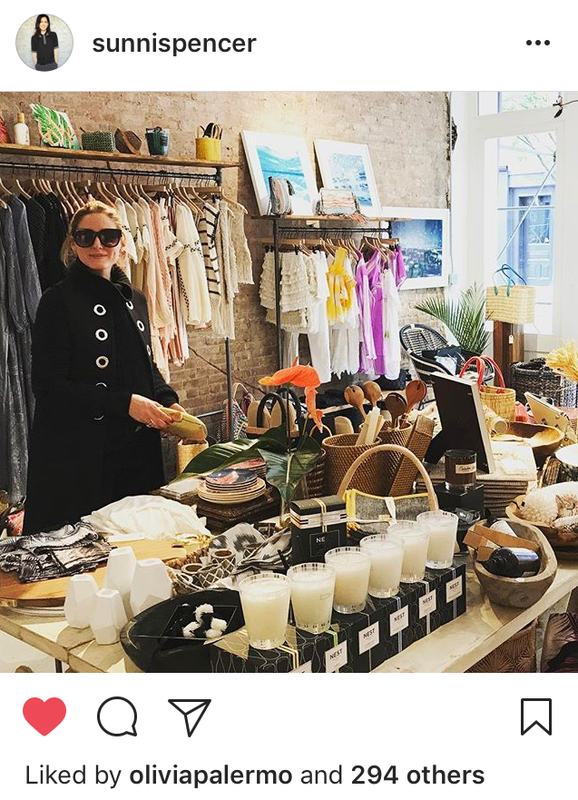 Olivia Palermo shopping at “Après Sea”. 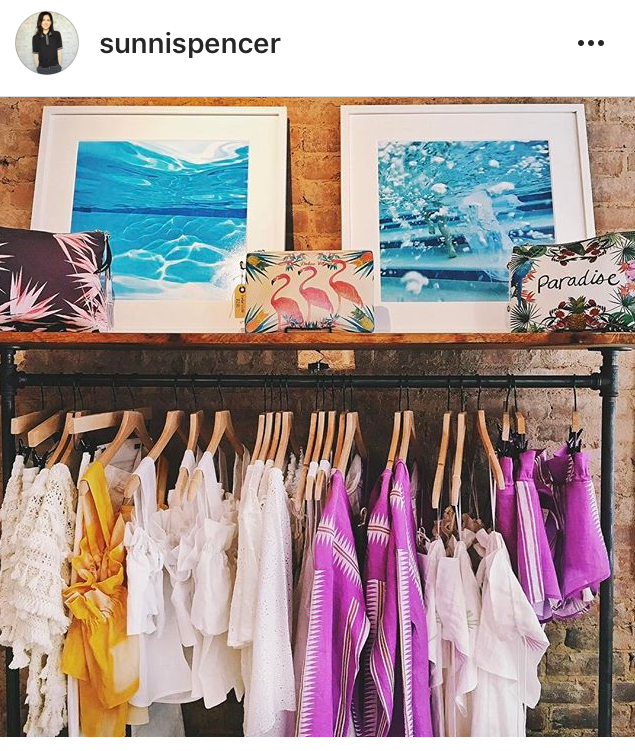 When Olivia Palermo walks into your brand new boutique and is so impressed that she asks you to accessorize her boutique, I’d say you are on the right track. 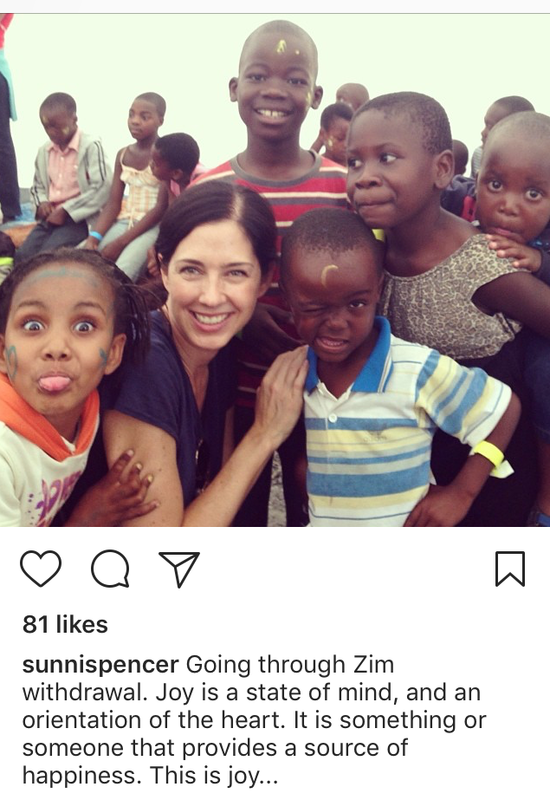 One morning this past April, Sunni Spencer really needed some coffee. As she was about to leave her boutique to buy a cup, a homeless woman walked in. Sunni spent a half hour chatting with her. When the mysterious woman left, Olivia walked in. Sunni believes that every person gets equal treatment. She also believes that divine intervention was at play. “Maybe that woman was God, testing you” her husband photographer Andrew Matusik suggested that evening over a glass of wine. 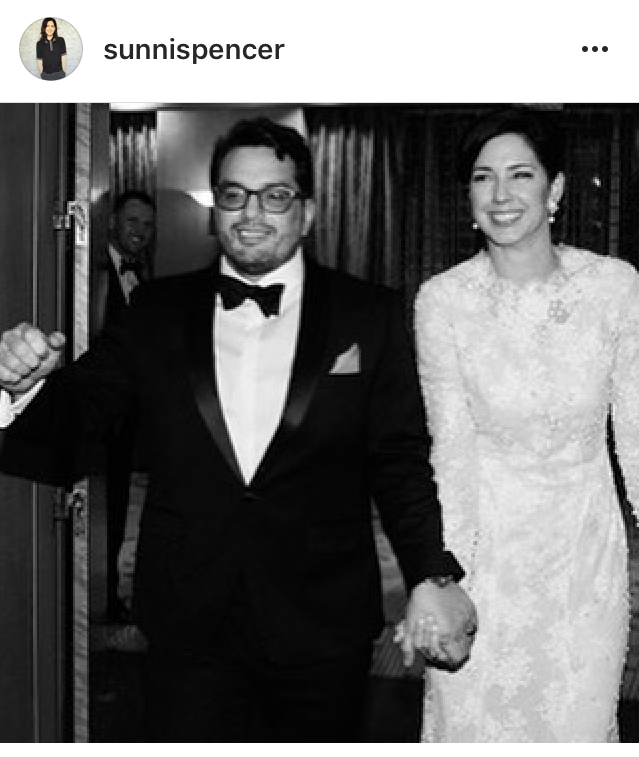 Sunni Spencer and husband Andrew Matusik on their wedding day. Sunni and her 3 sisters are very close. 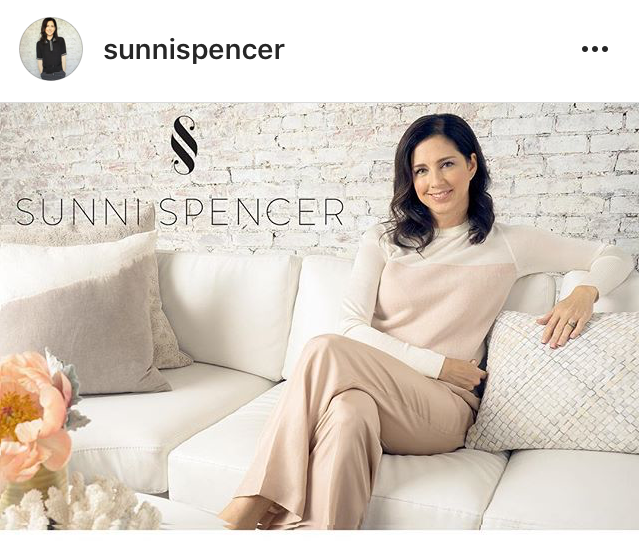 I discovered Sunni Spencer and her Bleecker street oasis this past spring. She had just opened her boutique in April and once all the work was done, had $30 left in her bank account. In her first weekend she sold $9000. Is this proof that the universe provides for those who are brave? I’d say so, and that her talent also has a lot to do with it. A former Senior Buyer for Bergdorf Goodman, Sunni’s style elicits positive comments every day. Candy colored kaftans, ocean inspired accessories, and citrus scented candles pull you in. “Everyone always asks about the smell of my store, it’s the grapefruit candle by Nest”. I bought one. I also fell in love with the ocean photography by Andrew and the underwater bubble photography by Penny Ashford (ask Sunni for more details). The shop is sunny, warm, and luxuriously beautiful. Add to that the pale pink walls and hardwood floors, and I was on cloud nine. “What a refreshing space” is the usual feedback Sunni receives. Underwater photography by Penny Ashford. Sunni was so enamored with fashion when she was a little girl growing up in Florida, that she would wear her cowboy boots to bed. 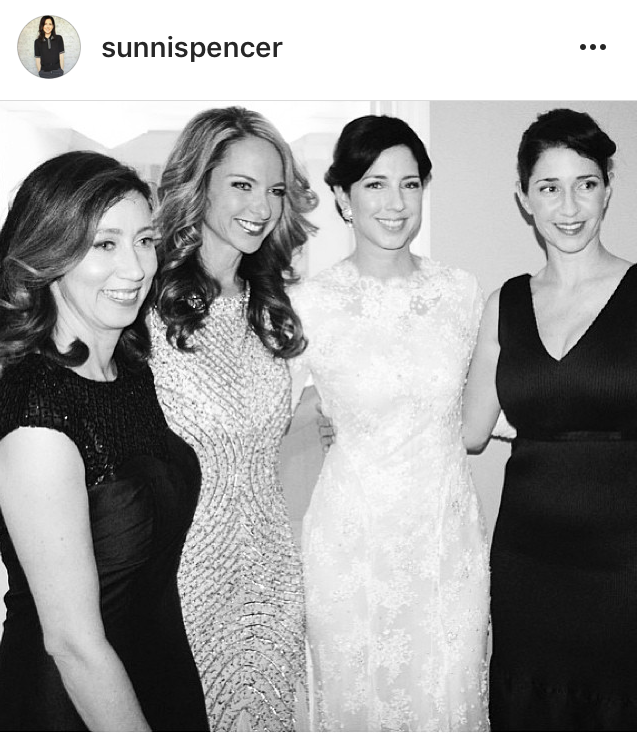 (Her sister called this out during her speech at Sunni’s wedding much to Andrew’s amusement). Sunni had a feeling that life had grand plans for her and left for the big city after college hoping to be an actress or singer. “Like everyone else I wanted to be famous. I was naive. My Bergdorf Goodman job got me to New York”. She was offered a position that promised $80,000 a year and so she moved into a small apartment with friends. Unfortunately, the job fell through and she was told she could be a sales girl instead. Sunni found herself living in Manhattan making $15 an hour. Not exactly what she had in mind. She did some modeling. Her charming personality won her favors from clients, and she soon became a favorite. “Important clients would ask for me. Luckily I did so well that I quickly became a manager and got the boss’s attention. I asked him to take a risk on me and make me a buyer.” It happened, and she brought luxury designers Marchesa, Naeem Khan, and Monique Lhuillier to Bergdorf’s. Sunni left Bergdorf’s and became a VP at ENKVegas. “During my career I didn’t always feel supported. I was miserable. At one point I decided it was time to leave so I came up with an exit plan after I discovered the yogurt lie. A friend of mine was eating yogurt one night and as I watched her, I said to myself, if I ever opened my dream boutique, I’d be living on yogurt. But that was just fear talking. It’s isn’t true. That’s what Andrew and I call the yogurt lie”. Sunni’s pop-up in the Hampton’s last summer. 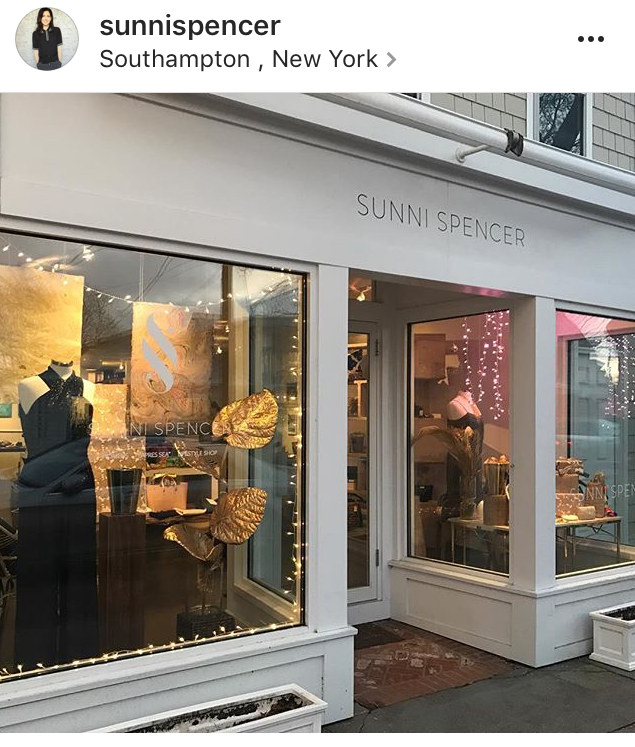 Sunni’s pop-up shop in the Hamptons was the precursor to her Bleecker street boutique. She was open for a few months and her clients pleaded with her to stay permanently, but her heart is in New York, for now. She is currently shopping for a new location for a pop-up in the Hampton’s to spend the summer. What makes “Après Sea” so special is not just that it’s on my favorite street, but that the vibe is so uplifting. Yes, Sunni has the professional eye (just gawk at her Pinterest page, your eyes will hurt), but Sunni’s personality is the real light. She is so open that she shared personal stories with me too private to share online, and she has that infectious relaxed Florida attitude. She talks about newly joining the church and how supportive those friends are. Every Monday she hosts a spiritual evening at her home with 12 other women, and she credits religion as saving her. Her friends worked morning, noon, and night to help her paint the boutique. The boutique “Après Sea” is for people who want to live the beach lifestyle every day. Sunny destination vacations may warrant a few purchases, but her clients love everything from the candles, to the huge array of multi-sized baskets to organize their children’s toys. “There is no reason that your home can’t feel like you are living at the beach.” The top sellers include Sea Star espadrilles that take on the shape of your feet. They come in every color and are perfect for rocky beaches. “I wear them every day, they are so comfortable”. They are made a bit small so if you are a half size, go to the next size up. 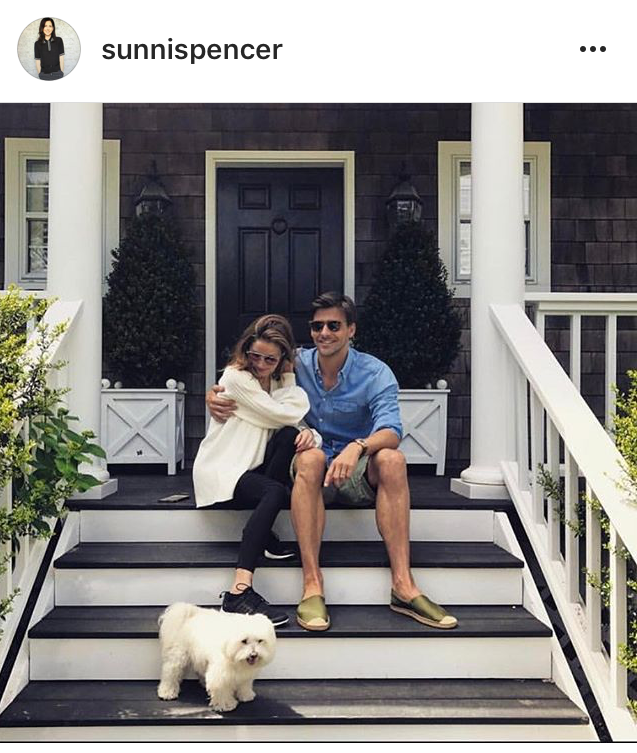 Olivia’s husband Johanne in espadrilles from “Après Sea”. 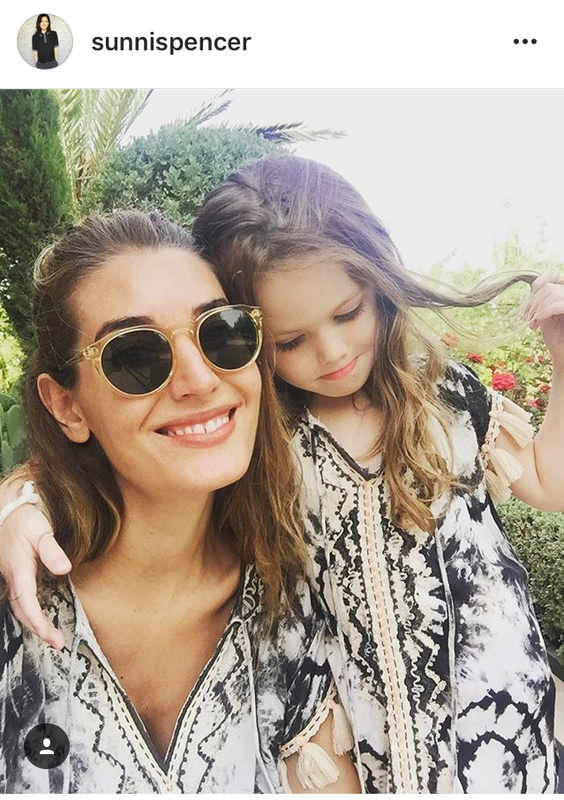 Mother and daughter #twinning in “Après Sea” kaftans. You can shop here or visit the boutique at 371 Bleecker street in New York.